Jessicay joined the KCEN sports department in June of 2015 as the Weekend Sports Anchor and Sports Reporter. After graduating from Oklahoma State University in 2012, Jessica began her sports broadcasting career at KTEN-TV in Denison, Texas where she was the Weekend Sports Anchor and Sports Reporter. 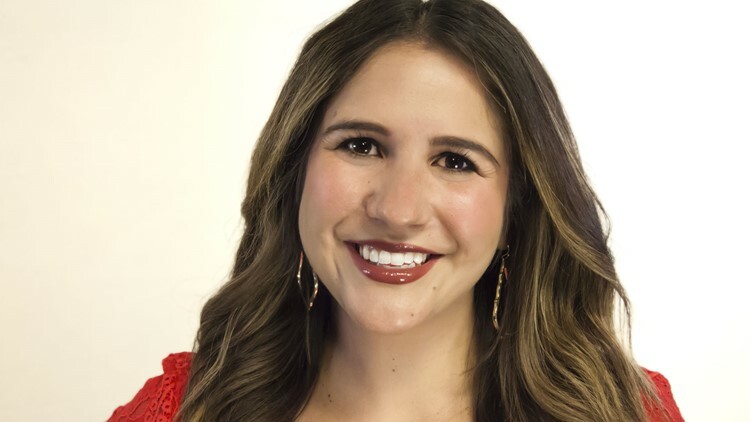 During her time at KTEN, Jessica won numerous awards including the Texas Associated Press Broadcasters Best Sports Story in 2014. Jessica isn't a native Texan but she got to the Lone Star State as soon as she could! She was born in Chicago but moved to Flower Mound, Texas, a suburb of Dallas, when she was 10 and has called Texas home ever since. When she isn't talking about sports on TV or putting together sports stories, Jessica likes to spend her free time watching sports. If there isn't a game on, you can catch Jessica at the gym or out exploring Central Texas! Contact Jessica at jmorrey@kcentv.com and follow her on Twitter @JessicaMorrey and Facebook.